Any and all related events will be posted below! Are you a MOM? 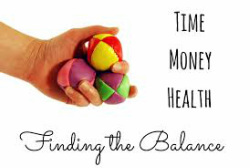 Are you looking for a way to spend more time with your family, and have more time for yourself, but still have all the money you need to do all the things you want with them?? It's easy! Just redirect your where you make purchases you're already making; and tell other moms about the opportunity to do the same! Listen to this phone recording - it will change your life! Come gather and work on your Heritage Makers projects together with a group! We make progress, share ideas, learn new tricks, and have FUN! Project Nights are USUALLY at my home in Devon, AB, however when there's interest will have one from a client's home. Contact me if you're interested in hosting! What would you do with an extra $200? $600? $1000? $12,000 / mo?? Attend a Swap Where You Shop Showcase and learn how you can earn an income simply by redirecting some of your monthly spending!! Learn how to shop from your OWN store, and earn an income teaching others to do the same! Dates for the New Year will be posted SOON! Please contact me to set up a private meeting! It takes 26 seconds for chemicals to be absorbed into your body through your skin. What are you using on your skin? 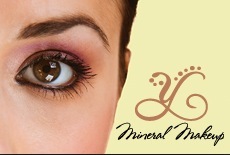 Attend a Mineral Make-Up Session and experience the difference for yourself! It's healthy, it's beautiful, and you're going to absolutely love the results!